We've had access to a heritage orchard this year (dating back to 1800s or even earlier) and got in just in time to get 70+Kg of old-variety apples. HAve always wanted to get into cider but this is the first time we've had the apples in sensible quantity to make a press worthwhile especially as we think we can have access in future years and are growing our own trees. I understand that scratting is really important especially with manual presses - see below. 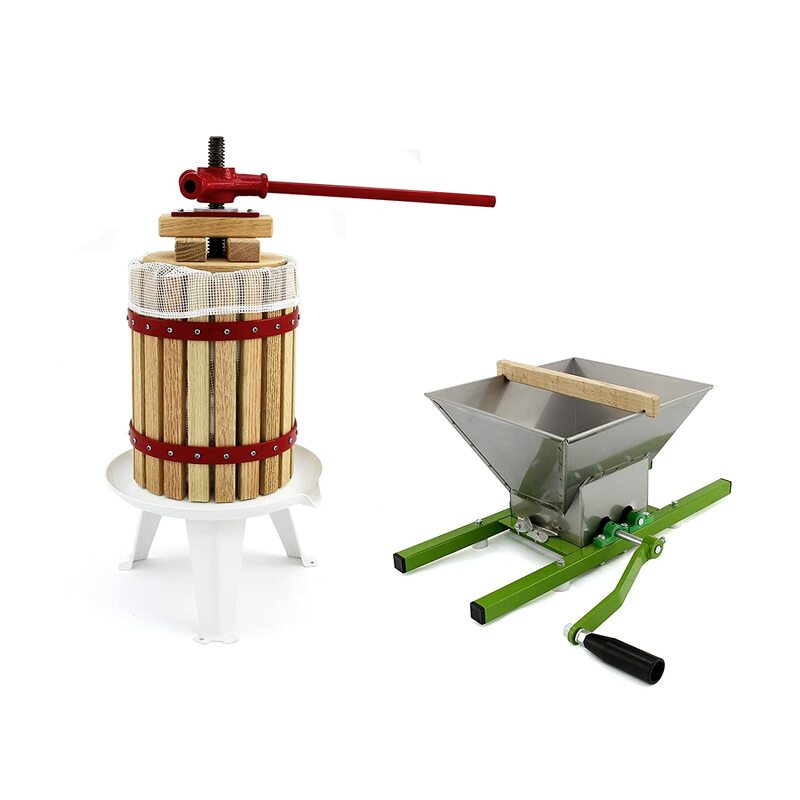 I do have access to rent a professional setup but £60 a day and I only have enough apples for one press in their kit. For that price I can buy a manual press - but not a scratter. Are these manual scratters worth the £100 or could I make one? I've seen people use waste disposal systems and garden mulchers and franky it seems it shouldn't be that hard to get something tough enough to chop apples. That said, I've wondered why you can't just put apples in a sack and jump on them (or get a hammer) to smash them effectively. I made my own scratter - it's easy enough if you have moderate DIY skills, and the right tools, etc. I used a frame/hopper made from old bits of wood lying around (cupboard drawer faces, sides etc. ), the mincer bit was just a large block of wood that I turned down to a cylinder, and then screwed galvanized screws into, at an appropriate angle, and space. you just need to break the apples into small enough pieces that they release the juice from the cells. There's a website somewhere where a guy tries to press whole apples, and they don't break down, and then apples in half, quarters etc. he only starts getting a decent amount of juice once the apples are pulverised. but having said that, too mushy, and you start to get issues. it is perfectly possible to use a clean sterilised bucket and a (big) lump of timber, to smash the apples up to the required degree. the mash should start to release it's own juice whilst it's in your container, before you start to apply pressure, that's when you know you've bashed it enough to break the cell walls, and release the liquid juice.